Spies! Kidnapping! Gluten Free Croissants! 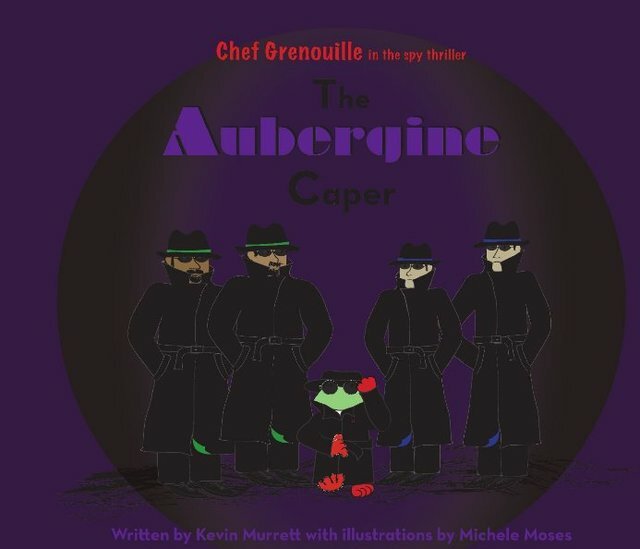 The adventures of Chef Grenouille continue in The Aubergine Caper, the fourth book featuring France’s most celebrated gastronome. Humbly arriving many years ago in Marseille on a Brazilian coffee boat, Chef G gradually rose by popular acclaim through culinary ranks to operate the most famous restaurant in Paris, a bistro, vineyard, spa, auberge, café, and, well, we lost count… Magically he does this all at the same time and still manages to fly back to New York each night and be with his creators, Michele Moses and Kevin Murrett when they come home from their design studio. Sprung from their imaginations, each summer M+K write a new story while vacationing in Provence as a way of sharing the wonderful lifestyle and culture this region has to offer. Many thanks to all our French hosts who unknowingly inspire Chef Grenouille’s passion for great design, great food, and great friends.